Halloween is a busy night in my neighborhood, lots of trick or treaters starting with the little ones at dusk and stretching well into the night with the teens who drive themselves to the neighborhood!! But I’m well stocked with candy, so I should be good. Not much news on the writing front. I’m mulling plots and scenes for Book 4. I know the basic story, but now I’ve got to fill in the guts, so to speak. My head was blank for a while . . . not unusual after I finish a big project like RAJMUND. It’s like my brain needs to rest a bit. But now ideas are beginning to percolate, so I’m a happy writer. NaNoWriMo begins tomorrow. I’m a big fan of NaNo, but won’t be doing it this year — first time in about six years that I haven’t done it, and I’m a little sad about that. But I don’t have anything ready to go and I have too much other stuff to catch up on to start something new. I’ve signed up and made my donation anyway. It’s an excellent event and one I encourage every writer to support. Don’t forget my new contest, comment on any of my blogs between now and the end of November and you get to name a character who appears in both RAJMUND and book 4! And just because it’s Halloween, I’ve got some disgusting candy samples for the holiday! some are just in poor taste, but others are truly creepy. Check them out here And just in case you didn’t get to carve your own pumpkin, you can do it here! NEW CONTEST and other news! First, I want to call attention to my latest contest. Details are on the right below, but basically, anyone commenting on this blog between now and the end of November wins a chance to name a character who will appear in both RAJMUND and in the fourth book, whose title is still floating around my head. So, read the details and comment away. Also, I’ve completed RAJMUND (at last!) and he’s with my critique partners. 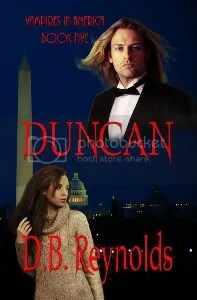 This is the longest book yet in the Vampires in America series. 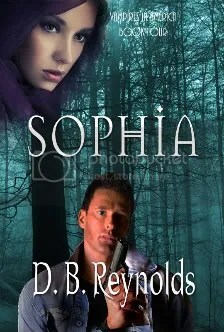 There’s plenty for Raphael and Cyn fans, but lots of my beautiful Rajmund, as well. And finally a video just to make you feel good. I have no idea how the Black Eyed Peas coordinated this, but watch the video. Even if you don’t like BEP, even if you don’t like Oprah, this video will make you smile. DipDive. A little, somewhat edited, snippet to introduce my new favorite vampire. Rajmund (pronounced RYE-mund) is just about 200 years old and very powerful. Rajmund, (Raj, to his friends, with a soft “g” like in Roger) is lieutenant to the Vampire Lord Krystof Sapieha who rules the Northeast. We first saw him in RAPHAEL at the Vampire Council meeting when Raphael is listening to his host Krystof’s quaking voice. Rajmund is the powerful young vampire standing behind Krystof who meets Raphael’s gaze from behind their respective sun glasses. This snippet is the first meeting between Cyn’s friend Sarah Stratton and Raj. So, this was Raj, their host for the evening. He was dressed in elegant formalwear, a tuxedo jacket and pants, and a crisply white formal shirt with smooth, flat pleats. But the neck of the shirt was open, the top button undone, as if he’d just whipped off the formal and too confining tie. He was big, like Raphael, but blond, with clear blue eyes in a face so stereotypically Slavic he defined the word. High, flat cheekbones, slightly narrow eyes, a strong jaw and a beautiful smile filled with white teeth, but no fangs, she realized. None of their party was flashing visible fang. Probably some sort of protocol thing, like not bringing your guns to the peace table. Obviously vampires didn’t waste words, Sarah thought, somewhat frustrated and wondering how much longer this would take. Her new shoes were spectacular and the four inch heels did wonders for her legs, but they were never intended for standing around. Sarah looked up and found her gaze neatly captured by a pair of icy blue eyes. A frisson of energy sparked and every nerve in her body suddenly woke up and began to hum happily. She forced herself to move, to offer a handshake. She felt the strength of his fingers as they wrapped around hers, dwarfing her hand. “Sarah Stratton,” she said, somewhat breathily. He smiled—a slow, lazy smile that sucked away in a millisecond the little bit of air left in her lungs, leaving her gasping for breath and trying not to show it. Something in his eyes told her he knew it anyway, and she was suddenly struck by vivid images of naked bodies in a darkened room—or no, not in the dark. He’d leave the lights on, so those icy eyes could drink in every tremor of her body as she writhed beneath him. Jesus, Sarah, get a grip! This, she told herself, this was a vampire. Suddenly she understood what Cyn had been talking about all these months, what it felt like to have all that power and energy focused on only you. He was not just tall, but big. His shoulders, his upper arms and chest were massive, tapering to narrow hips and muscular thighs and . . . oh my. Sarah had always liked big men. Of course, most men were big compared to her, but she liked big men, the kind who gave off heat, an imminence, as if they could spring into action at any moment. She jumped a little when he spoke, aware she’d been staring. “Rajmund Gregor,” he said in a rich, unhurried voice. “Raj, to my friends.” His words were deep and resonant, starting way down in his diaphragm and making the long journey up through that wonderful chest to her ears. His eyes warmed briefly in fresh amusement and she realized she’d already told him her name. She felt herself blush again and cursed her pale skin. He laughed cheerfully and placed his huge hand at the small of her back. “Let’s get you seated,” he said, propelling her across the floor in Raphael’s wake. Definitely . . . to be continued! 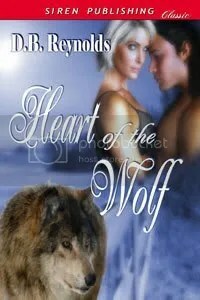 The Utah Heart of the West RWA chapter announced the winners of its annual contest last night and . . . I WON! Well, in my category anyway. My story SHIFTER PLANET won first place in the Published category. The published part refers to the writer not the story, which isn’t published yet. The final rankings were determined by Miriam Kriss of the Irene Goodman Agency. You can check it out here. You have to page down a bit, but I’m there. I love this new story and I’m really hoping to get it published, so this is very, very exciting! And speaking of exciting, I’ll be posting a short excerpt from RAJMUND next weekend, just a snippet to introduce everyone to my new gorgeous vampire, Rajmund Gregor. I do love me my vampires! INTERESTING VIDEO ALERT!! From the good people at Volkswagen. They decided to see what it would take to get commuters to use the stairs instead of the escalator. Check it out here. It’s the end of the month (or the beginning of the month, depends on your perspective!) which means contest news! 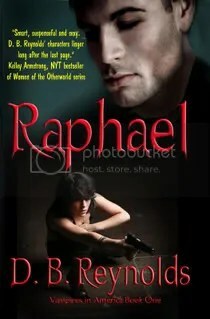 The winner of the book giveaway for September 2009–determined by an incredibly scientific random drawing–is Cathy M. Cathy has selected an autographed copy of RAPHAEL for her prize. Congratulations!! I also ran a book giveaway during my Guest Blog stint over at Star Crossed Romance. The winner of that prize is Barbara, but Barbara doesn’t have a blogger profile!!!!!! 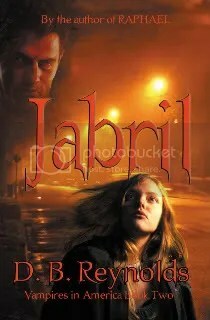 So, Barbara, if you’re out there, please e-mail me at dbreynoldswriter@aol.com so I can send you your prize! If I don’t hear from Barbara within the next week, I’ll select a new winner. I’m determined to give away this book! I hope everyone is enjoying the lovely Fall (or Spring in the Southern hemisphere) weather. It was a long, hot and sometimes dangerous Summer (Winter), pretty much all over the world. Let’s hope Mother Nature gives us all a break over the next few weeks, at least. I wrote a short story once which depicted humans as essentially an infestation of Earth. I’m beginning to think Mother Nature agrees with me. Yikes!